An undeniable and growing pull towards photography fast-tracked 28 year-old Karabo Maila’s decision to buy a professional camera in 2016. Haunted by the desire to capture moments and master her new camera, she naturally drifted towards conceptual photography. It was feedback from close friends and family that made her sit up, inspect her work and come to the realization that she needed better structured support system to nurture her gift. Karabo Maila is a Creative based in the capital city of Limpopo, a province located in the northern tip of South Africa bordering Botswana, Zimbabwe and Mozambique. Inspired by Limpopo-born photographer, Tsoku Maele, this self-taught photographer is naturally progressing her conceptual photography to Artivism, where she uses her art to promote activism. Her latest photographic series is titled #MilkXCoffeeSeries and it’s based on real life events. 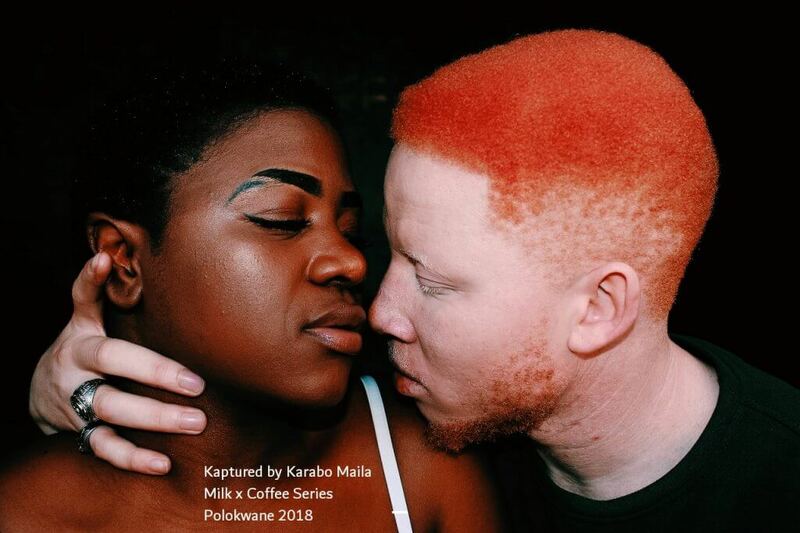 Through #MilkXCoffeeSeries she tells the story of a girl who has fallen in love with Albinism, but she is still in love with her husband. Through the series, karabo looks at a life re-imagined and tries to show her friend of a love that could have been. The #MilkXCoffeeSeries is enjoying press coverage, radio interviews, and Karabo believes that it is narrative that has relevance to the world over. Her mature skill is immensely important, and it is important in the second section of the world where she is constantly growing, which continues to exist in the African continent and globally. It has been a journey of experimenting and ensuring that Artivism is at the heart of all her creative work. 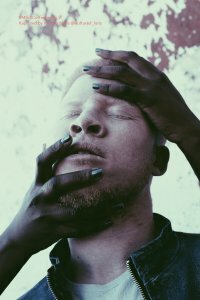 Karabo’s first series titled Melanin X Black X Ebony juxtaposes her conceptual photography with Artivism as well as ‘Social Issues Photography’ as she uses her images as a stark tool to address social ills. In the series she addresses the dark skin politics that have become a sensitive issue in many circles. A hidden thread that seems to connect her body to work with her. “For Africa to love herself, she needs to behave in a way that leads her back from leadership, the economy and social progress, we should encourage her,” she says. Her debut work, Melanin Black X Ebony Series set the tone for this self-love narrative. Portraiture is the preferred photographic style and is the most important photographic skill in the world. “Portraits are intimate, and they are not, I am overly obsessed with facial features and I believe they tell a story, they are what makes each portrait unique from the other,” she says. Walking the journey of self immersing herself in photography and relying on other photographers. Not everyone has accepted her art and her style. “The beauty of being self-taught is your art, I’m sure you’re going to have a good time. Resistance has not deterred her and continues to compile work especially because her inspiration comes from a dark place. “Often I draw inspiration from anxiety, frustration and Sometimes a mild case of depression. My art heals me and comforts me. It looks like a state of mind and Sometimes It Takes Shape partner partner after the pictures-have-been take,” she smiles . As she champions Artivism from the southern part of the continent in a predominantly rural setting, Karabo hopes to grace the world in the hopes of sharing her art with the world. Her vision is clear, she wants to be able to work in the city and to find a job. Should this movement spark a systemic change, this will be her highest achievement. She desires to work with brands in the face of social problems and therefore, in her own space. She wants people to experience her art and be moved to action. 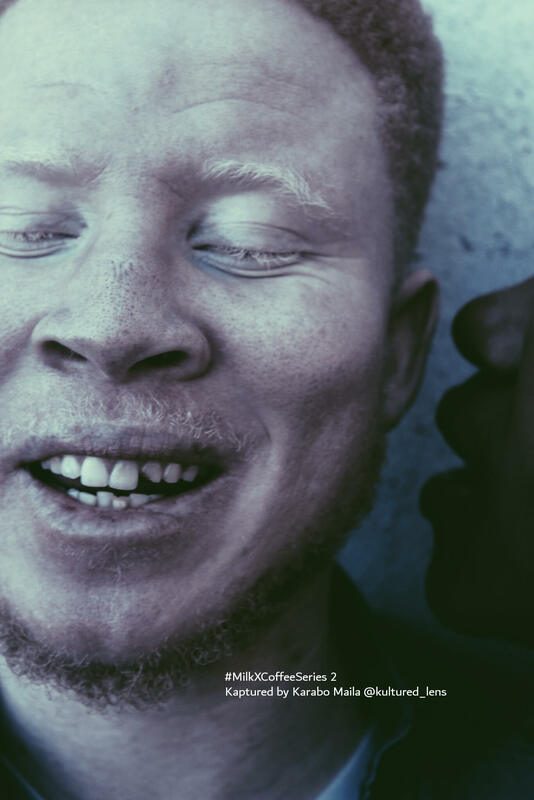 Africa and the world are yet to experience the gift of South African Creative. We wrap up our conversation and optimism sweeps over her face, “Above everything, I want to buy my art”, she says. Subscribe and receive news from African Fashion, Lifestyle & Made in Africa.